State Attorney General Linda Kelly announced that Pennsylvania will receive $4 million of a national $90 million settlement with GlaxoSmithKline. 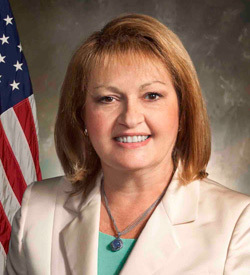 HARRISBURG –Pennsylvania will receive more than $4 million as part of a national settlement with GlaxoSmithKline that resolves allegations that the company unlawfully promoted its diabetes drug, Avandia, Attorney General Linda Kelly announced today in a news release. The release said that GlaxoSmithKline, a British-based pharmaceutical company that operates worldwide, has agreed to pay $90 million to resolve allegations that the company engaged in unfair and deceptive practices by misrepresenting Avandia’s cardiovascular risks and safety profile. As part of the consent judgment, GlaxoSmithKline agrees to reform how it markets and promotes diabetes drugs and agrees to avoid the following: making any false, misleading, or deceptive claims about any diabetes drug; making comparative safety claims not supported by substantial evidence or substantial clinical experience; presenting favorable information previously thought of as valid but rendered invalid by contrary and more credible recent information; promoting investigational drugs; or misusing statistics or otherwise misrepresent the nature, applicability, or significance of clinical trials, the release said. The agreement also has the following terms that are effective for at least eight years: GlaxoSmithKline (GSK) must post summaries of all sponsored observational studies or meta-analyses conducted that are designed to inform the effective, safe, and/or appropriate use of its diabetes drugs; GlaxoSmithKline shall post summaries of GSK-sponsored clinical trials of diabetes products within eight months of the primary completion date; GSK shall register and post all GSK-sponsored clinical trials as required by federal law; and GSK shall comply with the ICMJE Uniform Requirements for Manuscripts submitted to Biomedical Journals, according to the release.